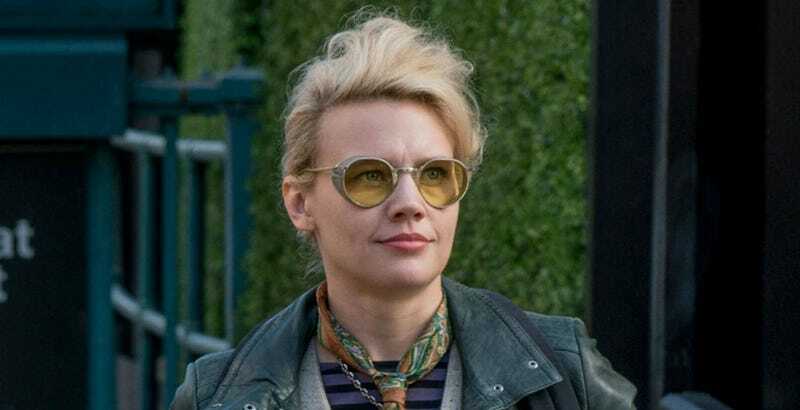 You always knew Kate McKinnon was going to become a movie star. Since her early days on Saturday Night Live, up through her electric performance in Ghostbusters, she simply oozes talent and charisma. And now she’ll blend those together for a movie produced by Steven Spielberg. McKinnon is set to play the lead in The Lunch Witch, a YA novel being turned into a film by Amblin Entertainment, the company Spielberg co-founded with now Lucasfilm president Kathleen Kennedy. Clay Kaytis, a co-director of The Angry Birds Movie, is directing. So why is McKinnon so perfect? Well, you’ve got to know what The Lunch Witch is about. She’ll play Grunhilda, the latest in a long line of witches who excel at making terrible magic with their cauldrons. However, in modern times, no one really believes in magic, so she uses her skills and evil disposition in another way, cooking up icky cafeteria food as a school lunch lady. Things start to change, however, when she meets a fellow outsider in the form of a lonely 12-year-old girl. A goofy lady with magic powers who becomes buddies with a young girl? Come on now. That’s damn good casting.